You'd be a fool not to become a member, as there is no cost, no contract and no obligation, just better prices when you pre book at city and airport locations. Where do I use my NCP voucher code? Find a car park by clicking ‘Find a car park’ in the top header and entering your destination. You can now enter the dates you would like to book from and until and your arrival times. On the right, you can now enter your promo code. Enter your code into the box and then click ‘Find best prices’. Any discounts or offers from your promo code will be automatically included in the results. Whether you need short-term parking or a long-term parking, ensure you have a space ready and waiting on your arrival by pre-booking online with NCP. You’ll see the distinctive NCP logo as you enter car parks at airports, railway stations, shopping centres, and leisure centres across the country, as well as multiple locations near arenas and theatres. All the car parking available through NCP is trusted and secure, they even offer a little extra personal service at a number of airports with valet treatment, which allows your vehicle to be brought to you at the airport terminal when you return from a trip. Whether you’re travelling for business or pleasure, planning in advance or hunting for that last-minute space, NCP has got you covered. And, if it’s convenience you’re looking for NCP can’t be beaten. Not only does its network of over 500 car parks give you a secure parking spot at most UK airports and many cities and towns across Britain, but it’s handy website also allows you to pre-book your parking space online, so you can save time and have a dedicated space waiting for you when you arrive. Or you can use your phone to pay when you get there which means no more scrabbling for change when time’s running short! NCP takes its commitment to the environment very seriously by continuing to be socially and ethically responsible. In 2010 its 500+ car parks sourced all of their electricity using 100% renewable energy to aid in the fight against global warming. In addition to this, NCP has also created a network of electric car charge points across London and the UK to provide for those with electric vehicles and to encourage others to make the switch. NCP has more car parks than anyone else, allowing you more freedom of choice with over 150,000 spaces in over 500 sites including London, Birmingham, Manchester and Glasgow. Whether it’s airport parking you’re after or simply pay and display parking while you enjoy a day out then you can find it for affordable prices at NCP. Pre-book a space online to save time once you arrive, book your airport parking in advance to enjoy low cost prices and use the handy pay by phone option to make things easier, and leave your vehicle in a secure location with a trustworthy company who work around the clock to provide the most prestigious car parking services in the whole of the UK. If you’re flying from Birmingham Airport at Marston Green on your next holiday then choose NCP as your car park provider. With seven car parks up for grabs you are guaranteed to find a space, and when you book online in advance you can secure a great parking location that’s close to your terminal and not far for you to walk. If you’re not keen on walking at all, choose the fantastic valet service and have your car brought to you at the doors, allowing you to step out of Birmingham airport straight into your car, with help with your bags too! Visit the Birmingham Airport page on the NCP website and book your space now, there are even season tickets available on selected car parks to make things even easier. You can cancel your NCP booking up until 2 hours before your scheduled stay and up to 6 hours before stay in city-centre car parks. Can I use my phone to pay for parking at an NCP car park? You can use your mobile at most NCP pay and display car parks. Check online to find a ‘Pay by Mobile’ car park near you. Each NCP car park has its own opening times. Visit the NCP website to find the car park you'll be using and check its opening times online. Write: Saffron Court, 14B St.Cross Street, London EC1N 8XA. National Car Parks are the UK’s largest private car park operator, with over 150,000 spaces and a history that stretches back the better part of 80 years. 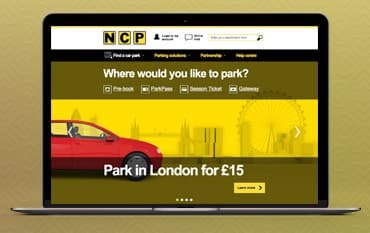 For those of you who are looking for somewhere secure and trustworthy to leave your vehicle in the day, at night, or while you're away abroad there’s plenty of options from NCP who provide spacious parking in Birmingham, Bristol, Cardiff, Edinburgh, Gatwick, Glasgow, Heathrow, Liverpool, Luton, Manchester, Norwich and more. Use your NCP promo code to save money as you take your pick of long-stay, secure, convenient parking places, and get on with everyday business with the reassurance that your vehicle is safe. We are constantly on the hunt for Voucher Codes for NCP to help you with your money saving. Our experts check dozens of sites for secret codes including NHS discounts, student sites & social media channels saving you time & money!